Simple elegance, with a bow to tradition, marks Christmas at the Governor’s Mansion in Jefferson City this year. 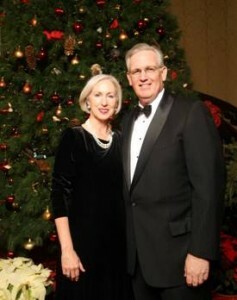 First Lady Georganne Nixon set the theme for the celebration of Christmas at the Mansion this year. Christmas decorations abound at the Mansion, located east of the State Capitol. Decorations of greenery, poinsettias and fruit offer a warm and inviting setting at the home of the governor and First Lady. A large, traditional Christmas tree stands in a corner. The First Lady says it’s been a privilege to move in. The Nixon’s chose to move into the Mansion even though they long ago established a home in Jefferson City during Governor Nixon’s time as attorney general.